Only weeks after the Google Play app store introduced new donation options for Christmas, the Google Assistant AI is spreading the goodwill with a new donation feature – although currently just in the US. You can now make donations through the Google smart assistant on your smartphone, or compatible smart display or smart speaker. Whatever the device you're using, you'll need to give final confirmation on your smartphone either way as a security measure. As we enter the new year with plenty of good intentions and resolutions that are unlikely to last the month, what better self-improvement kick than a donation to charity? The command "Hey Google, donate to charity" or "make a donation" will suggest a number of charities and suggested donation amount, while more specific commands that name the charity and expense – $5 to UNICEF, for example – will take you directly to a confirmation page for the donation. Other linked charities include Save the Children, American Red Cross, Girls Who Code, charity:water, Doctors Without Borders USA, Room to Read, World Food Program USA, World Wildlife Fund US, and International Rescue Committee. 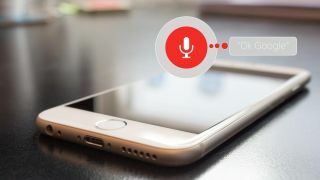 As we mentioned earlier, the feature is currently only available in the US – though given the Google Play donation page was also rolled out to the UK, Germany, France, Spain, Italy, Indonesia, and Taiwan, we expect to see Google Assistant's own charitable streak extend to other territories at some point.